A little over two years ago, a small team of us embarked on a simple idea—allow people to play world-famous golf courses online and feel as though they are really there. It didn't matter that it hadn't been done before, or that most people thought it was impossible. Today, two world-class courses, a slew of technology patents, nearly one million players and thousands of putts later, we are unveiling our beta product. Peter Kessler, the XM Radio personality, golf historian and former Golf Channel host, will share insights and anecdotes drawing on thousands of interviews he has conducted with the individuals who have shaped the game of golf. Josh Zander, "Class A" PGA teaching professional at the Stanford University Golf Course and Golf Digest contributor, will offer tips and post videos on improving your golf game. We hope you enjoy the beta, and welcome your feedback in the forum. 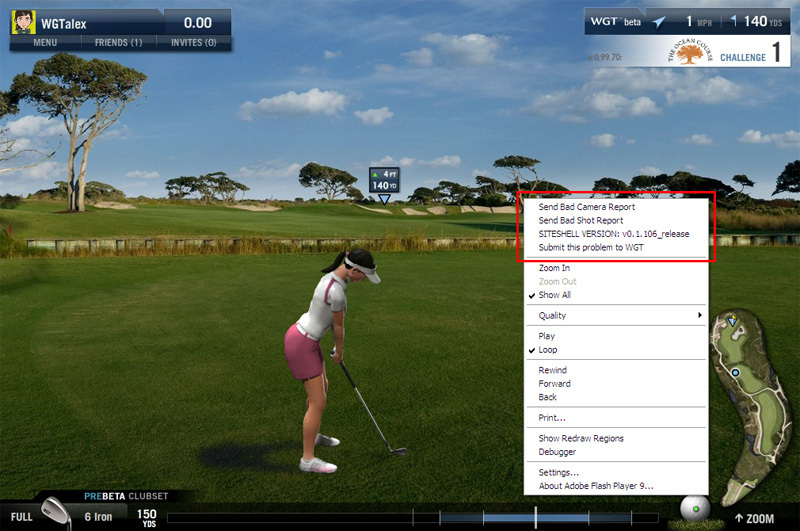 There are many improvements coming, and your feedback will help to shape them and make this the best golf experience online!